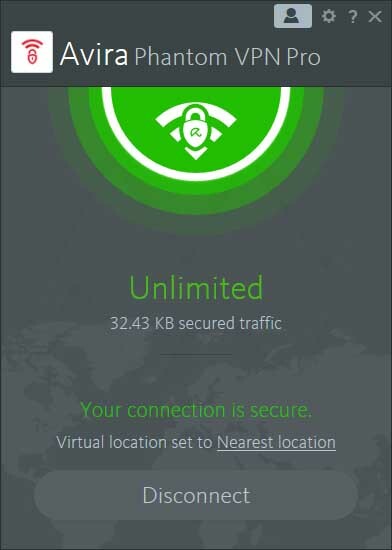 Avira Phantom VPN Pro is a powerful VPN software that lets you secure your connection with advanced protection methods when you’re surfing on the internet. It enables you to connect to various Internet network includes access to all web sites and online services, despite being blocked by your ISP (Internet Service Provider). Avira Phantom VPN allows you to surfing safely and easily. It lets you to surf anonymously, improving the confidentiality of data and other user activity, even offer all the benefits of a virtual private network. Avira Phantom VPN Pro Full Version is designed as simple as possible, but with advanced encryption for more secure browsing. The program simplify and secure anonymous surfing on the Internet. It has a simple interface, and very easy-to-use, and help open banned in certain areas of the website and services in just a few mouse clicks. it didnt work should try with wifi off? great , got it i should kill the server in the server list not the processes list thank you! what is use of data reset exe ? If trial protection detected, traffic data will be limited. The password I enter is not working. Please help. Not compatible with windows xp! Tested!